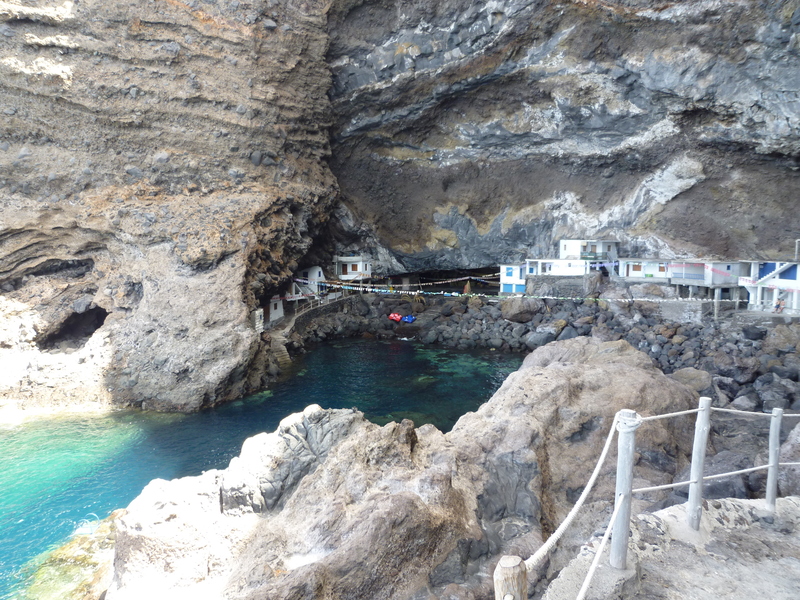 This summer I was lucky to enjoy some vacation days in the very nice Canary Islands, concretely in Tenerife and La Palma. It was just holidays but Climate Change appeared, subtly in certain occasions I want to share with you again in this post as did in the previous one. 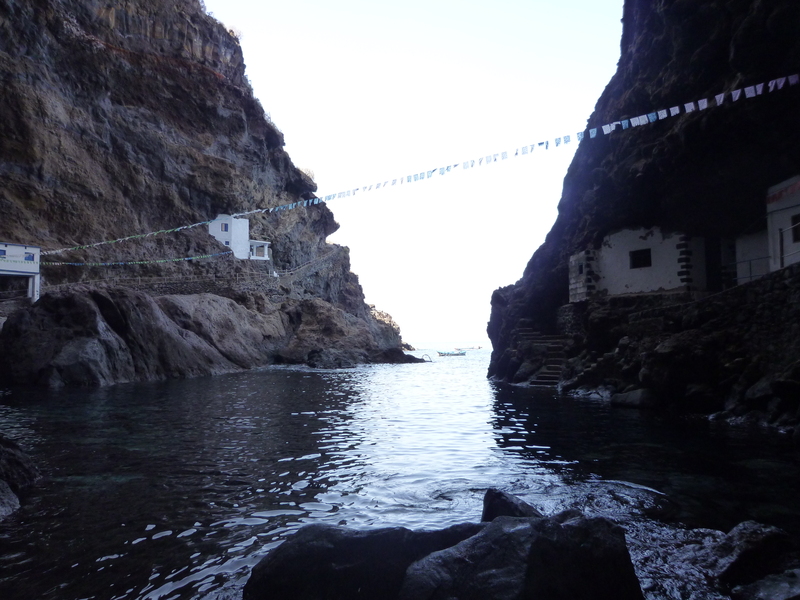 The images are from the Poris de La Candelaria a site with strange but striking beauty in La Palma island, concretely in Tijarafe town. Of course, my images are too poor to show the real beauty of this place that it is not a mayor turist attraction maybe due to the difficulties to arrive there. Nevertheless it is important for the locals for spare time use (fishing, sleeping near the sea, festivals,…) and also for the connection to their ancestors, as this places use is documented from the middle ages but is likely older. And, where is the link to climate change? The link is in my thoughts. They told me that in spite of its peaceful aspect in winter the storms can be strong there causing some damages in the amateur houses. In consequence I thought that in the future they will have to work harder to repair the damages in the stronger storms or even one day leave this place to the fishes due to sea level rise. I know it will not be the worse consequence of climate change but it will be a pity for them and for the eventual visitors.